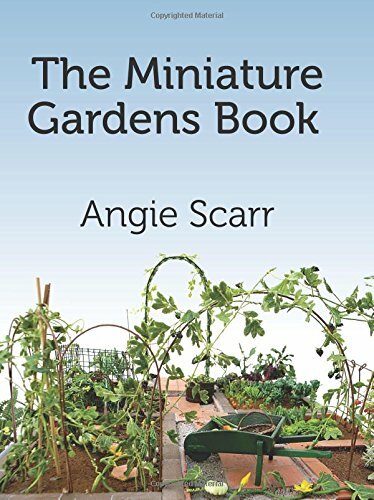 Once again Angie Scarr lets you peer into her workshop, her mind and, in this book, her garden. Leading you through more explorations into uses of polymer clay, liquid polymer and mixed media for a realistic depiction of nature presented in some simple and some more complex projects. Presented here are four types of garden: the kitchen garden, the allotment, the Mediterranean garden and an indoor patio garden. Concentrating on the vegetables for which Angie is best known, but also including fruit, green decorative plants and just touching on flowers - but more particularly the weeds without which most gardens would be incomplete! Including projects on Salad vegetables, root vegetables, cabbage, cauliflower & sprout plants, herbs, tomato plants, potato plants, bell peppers, lemon and olive trees, Swiss cheese and palms, raspberries, strawberries, beans and peas, aubergines, artichokes and squashes, grapevines and cactuses and more. If you've loved Angie's other best selling craft books you're going to adore this one.